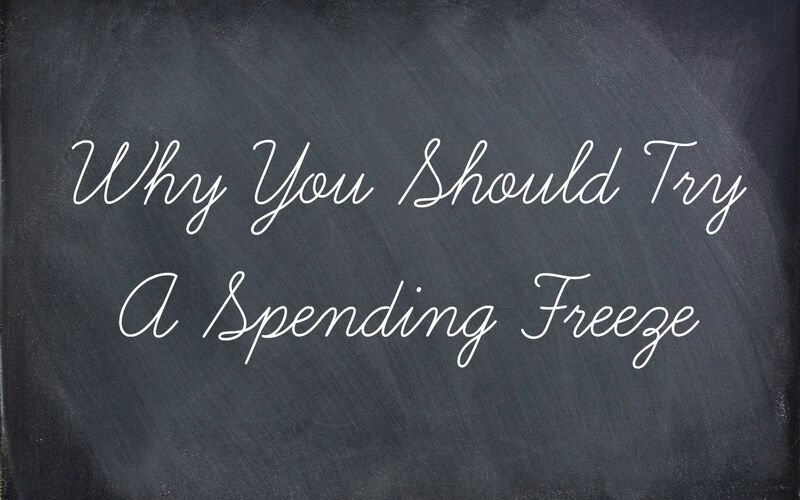 Just in time for the holidays, I've been seeing "Spending Freeze's" pop up in my social media news feeds. What are they exactly? Well, it's a time frame consisting of a few weeks or months where unnecessary spending is not allowed. Now hear me out - I'm not saying you can't spend any money at all. A spending freeze just suggests the basics for that time frame. No eating out, no splurge's at Target or ToysRus, etc. I'll be honest, I've never done a spending freeze, I'm a big shopper. I love a good sale or deal and even better when I have a coupon for it, or I find a free shipping code. I don't crazy shop but when it comes to the kids, I enjoy shopping for them instead of myself. How do you get started? Well, decide how long you want this freeze to go on, one week, two weeks, a month? Then plan out meals for that time period, check what you have available in your fridge, freezer and pantry already. Next, look at your bills - are any due during this time frame? If so, pay ahead so nothing important gets turned off or disconnected during your spending freeze. A spending freeze for me is a lot of mental preparation, controlling my impulse shopping and resisting to buy stuff for a few weeks. It's a great time to put extra money away for holidays or for an extra car payment, etc. It's also a good time to focus a little more on what's important - spending time with my family, not spending our evenings eating out or hanging out at the mall but spending quality time together. Could you do a spending freeze? How long do you think I'll last? Keep your eyes peeled for an update post soon! I think this is a fantastic idea for many reasons. We do spend small or even large amounts of money without really taking into consideration the total of all these purchases. I've certainly done spending freezes before, especially when saving money for the holidays. Once I saw how much money was saved, wow, it changed my spending overall for sure.